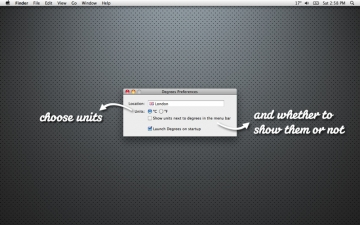 [無料] Degrees Weather | Mac App Storeのアプリ検索・ランキング BuzzMac! The weather app that Apple should have made. 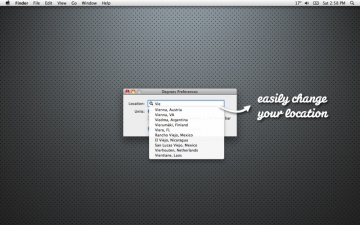 Simply the best weather app for your Mac. 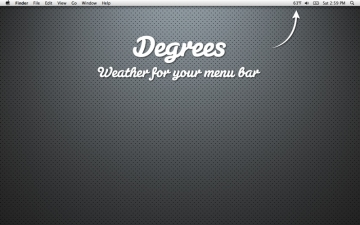 Delightful, elegant and unobtrusive, Degrees shows current weather in the menu bar, where you can always easily see it. More than 250,000 users can't be wrong! Try it free and if you love it, go pro! - Pro users get future upgrades and updates first! There's nothing we can do about the weather, but if you have any other problems or ideas for Degrees please get in touch!